Taking notes on your iPhone or iPad is not that hard. 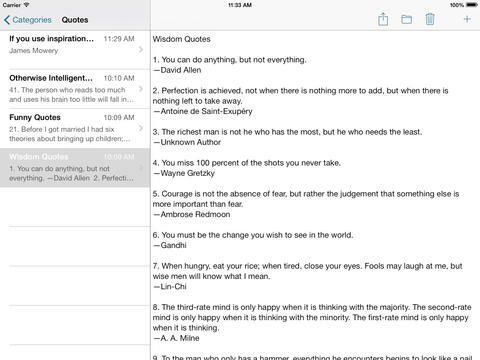 There are many free and paid note-taking applications available for iOS. Smart Notes 3 happens to be one of the best ones around. Developed for iOS 7, Smart Notes uses iCloud to sync your notes between your iPhone, iPad, and Mac. 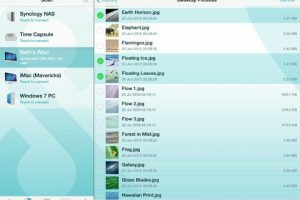 It may not have as many bells and whistles as other apps in this category but keeps it simple and user-friendly. 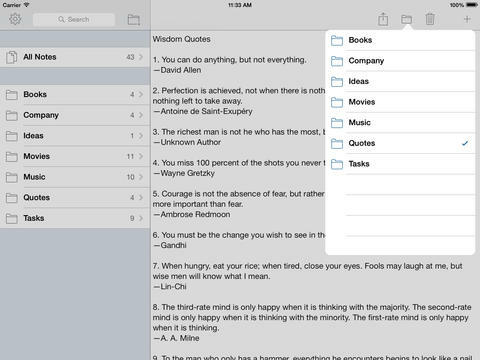 Smart Notes 3 lets you create multiple categories for your notes. You can sort notes by date or in alphabetical order. As mentioned earlier, Smart Notes 3 relies on iCloud to keep your notes synced. It supports AirPrint too. You can perform full text search, category reordering, and import/export tasks fast. 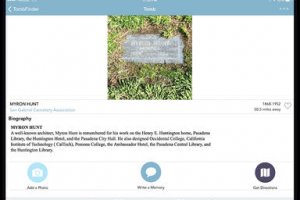 Notes can be published on Twitter and Facebook. Smart Notes 3 is good looking and makes you productive. It does require iOS 7 to run though. Smart Notes 3 sets you back $4.99 at this time.